What better day than October 1, the first of a celebrated spooky month, to open an exhibition on the oft-macabre writer, Edgar Allan Poe? 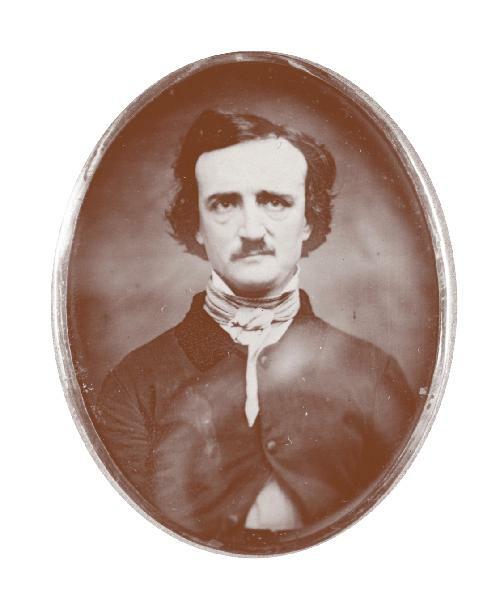 Parkway Central Library’s Rare Book Department is celebrating the 200th birthday of Poe with the Colonel Richard Gimbel Collection in the new exhibit, Quoth the Raven: A 200 Year Remembrance of the Life and Legacy of Edgar Allan Poe, which opened yesterday. Running through February 13, 2009, the exhibit features rare autographed manuscripts, first editions, and Poe family heirlooms. Among the manuscripts are The Murders in the Rue Morgue, The Raven, Annabel Lee, and For Annie. First editions of Tamerlane and The Balloon Hoax will also be on display. Visitors can also view Grip, Charles Dickens’ pet raven and the inspiration behind Poe’s most famous poem. To celebrate his January 19 birthday, the exhibit will host several different events. A special Saturday opening on January 10 will coincide with performances by David Keltz and Helen McKenna-Uff. On January 13, the Library will host The Great Poe Debate—recently covered by the New York Times and inspired by Edward Pettit’s 2007 City Paper article, “We’re Taking Poe Back,” the event will feature representatives from cities where Poe resided and a debate as to which city is most worthy of the author’s remains. The free exhibition will be on display from Wednesday, October 1, 2008 through Friday, February 13, 2009. The Rare Book Department is open from 9:00 a.m. to 5:00 p.m. on weekdays and holds tours at 11 a.m.